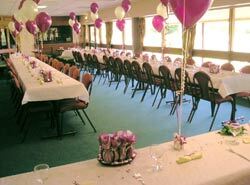 The attractive Alexandra Room, overlooking the delightful and peaceful setting of the outdoor bowling greens, is a perfect location for, wedding receptions funeral teas, christening parties, social functions and children’s parties, or for clubs and organisations to hold meetings and social events. 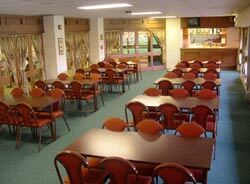 For an informal discussion about your requirements please contact the centre and our friendly staff will be delighted to show you the facilities and talk about the options available. Ample free on street disc parking is available.